A Theme Park University reader tipped us off that an area of Universal Studios Florida was barricaded off on Feb. 16, 2018, around 2:30 p.m. 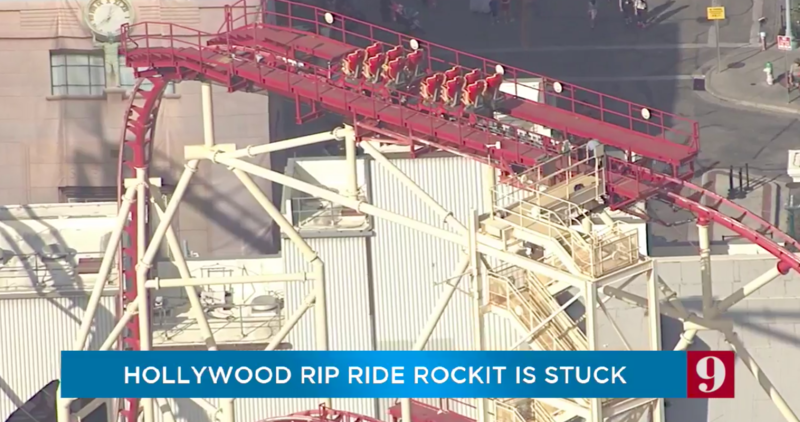 There were reports that Rip Ride Rockit was down and no foot traffic was allowed near the ride, which is standard procedure when the ride valleys. Then a Theme Park University reader sent us this photo. For those unfamiliar, when a train valleys, it doesn’t reach the next brake run in the ride through its own energy. Therefore, it rolls back into the next “valley” and slowly comes to a stop. To our knowledge, no one was injured during this incident. WFTV sent a chopper up and the train has apparently been pulled up to the closest break run. 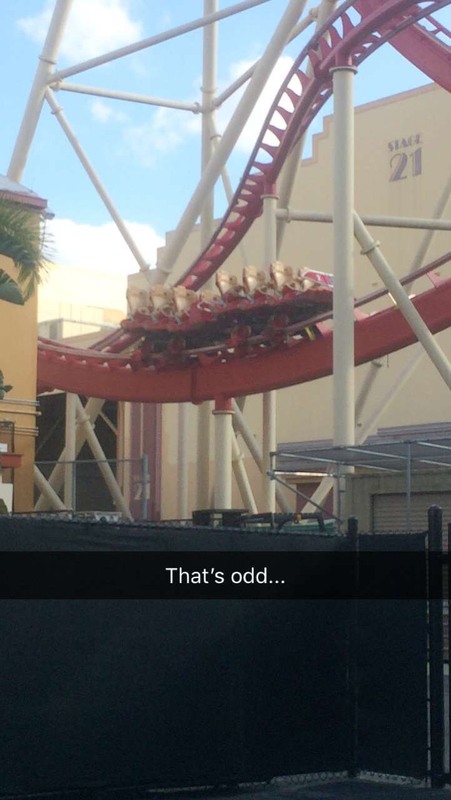 Universal added a winch system (hook and a cable) to this section of the track after they had issues with Rip Ride Rockit valleying in the past. There are also stairs that were added to this section of the track specifically for this purpose! It is our understanding that Orange County Fire Department came in to assist those that were on board the train evacuate. Universal representatives announced that the ride will be closed for the rest of the day on their annual passholder page. This is not the first time Rip Ride Rockit has valleyed. It did so in 2009 and we believe it did a few years ago (can anyone confirm?) as well. From all accounts, it seems that Universal followed all proper safety procedures in getting the riders safely and efficiently. This entry was posted in Universal and tagged Rip Ride Rockit, roller coaster, Universal Orlando, valley. Bookmark the permalink. Trackbacks are closed, but you can post a comment.